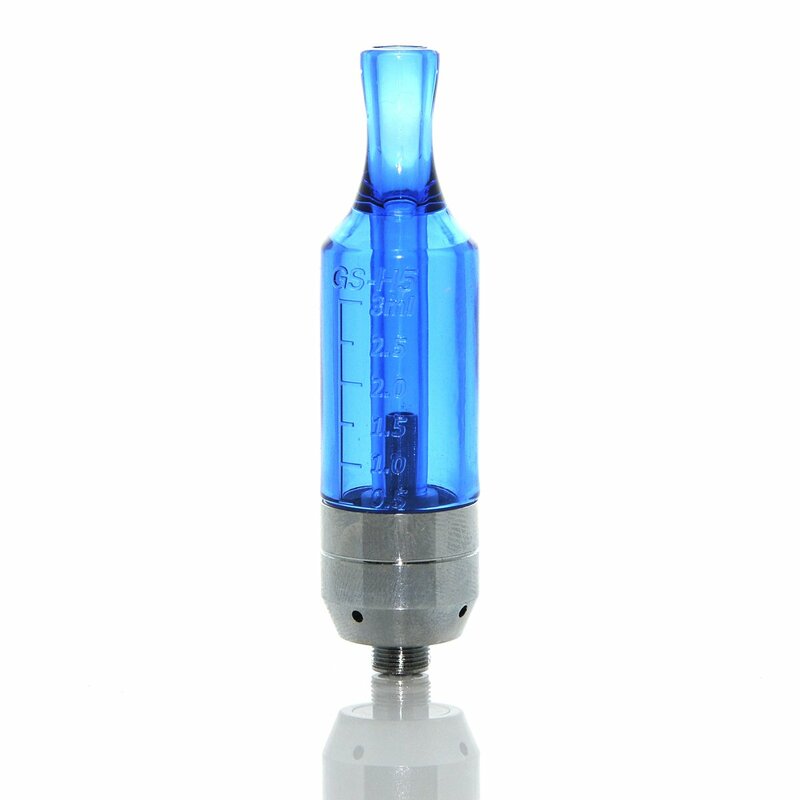 The GS-H5L clearomizer has a large 3ml capacity tank that lights up every time you take a pull! The GS series tank design incorporates the drip tip and tank in one piece for sleek looks and simple function. The GS-H5L has standard 510 threading for use on all eGo batteries plus all MODs and APVs. The sealed one piece chamber means that you are less likely to develop a leak since it has fewer seals to wear out. The GS-H5L comes with a 2.4 ohm single coil installed. Standard 510 threads for universal fit. 3ml capacity for longer vape times between fills.